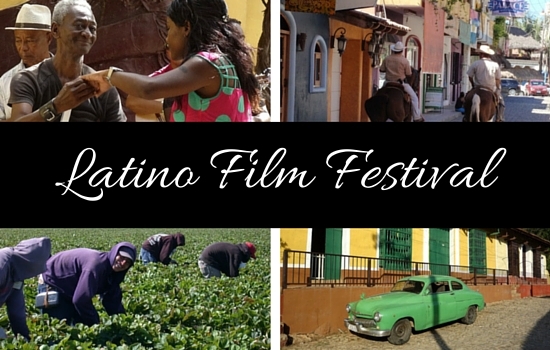 Join in on the fun at this year's Latino Film Festival. This spicy and colorful event features unique works from up-and-coming and well known filmmakers. All are from the US, Latin America, Spain, and Portugal. This year's festival is September 13 - 30 in San Francisco as well as other Bay Area Cities including San Jose, Oakland, and Berkeley. The San Francisco movies will be at a variety of venues around the city, including the Brava Theater Center, Opera Plaza Cinema, and Galeria de la Raza. Other venues include the Mission Cultural Center For Latino Arts, the Red Poppy Art House, and the Producer's Lot. Click here for a full schedule for this year's event. You can buy all of these online on the Latino Film Festival website. If you are visiting SF primarily for this event, then I recommend staying in the downtown or Union Square areas of SF. Both are centrally located which will make it easy for you to get to all of the film venues. You can also head out to TripAdvisor to find the best hotel for your stay. On their site, you can read current guest reviews and compare prices at places all around town. Ghirardelli Chocolate Festival: If you love chocolate, then head over to the Ghirardelli Chocolate Festival this September. For two days, you can sample gourmet chocolates, sip local wines, and even learn how to create wonderful chocolate goodies from local chefs. Click here for more details. Oktoberfest on the Bay: This year's Oktoberfest on the Bay is once again at SF's Pier 48. For three days, you can enjoy German beer, music, dancing, and food. Click here for additional details on this year's event. SF Ticket Deals: All month long, Goldstar features tour and event tickets at up to half-off. I use them frequently to buy film festival tickets, to go on Bay Cruises, and when I head to the theater. Their ticket selection is amazing! Click here to check out what tickets are available for September (and other upcoming months). SF Giants Baseball: In September, the SF Giants wrap up their final few games of the regular season. This month, they play host to teams such as the LA Dodgers and the San Diego Padres. Click here for details on attending a game and for a list of remaining games on their schedule. In addition to the Latino Film Festival, you will find more than 50 others in San Francisco each year. Here are just a few of my favorites. International Film Festival: This is the largest film festival in San Francisco. It runs from late April through the first part of May. During its two weeks, it features more than 150 pieces at several locations in SF. Click here for information. International Festival of Shorts: If you love short films, then check out this fun festival every year. It features only shorts created by a variety of filmmakers from around the world. Click here for additional details on this year's festival. Ocean Film Festival: This one focuses on topics related to the water including those with environmental and cultural significance. Click here for details on this year's Ocean Film Festival.